Here’s a snapshot of just some of the highlights from the latest installations and events that we have been involved with. Canadian hip hop star Drake recently opened Pick 6ix – his first combined restaurant and club, located at 33 Yonge Street, in his hometown of Toronto. As a man with strong family roots in music, Drake’s chosen sound system for this impressive venue needed to match the highest standards of interior design. 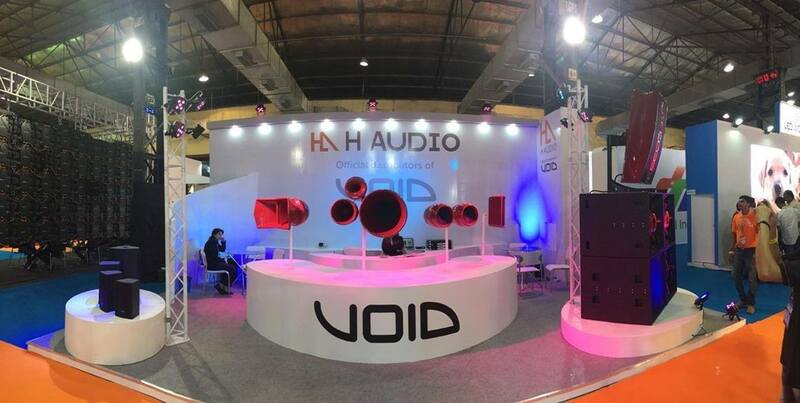 Void Acoustics was the obvious brand of choice, with the installation expertly executed by the Void Benelux team. The entire production, design, furniture and electronics are all Dutch, with everything specially shipped in from the Netherlands, giving it a unique design edge. A combination of two Air Motions, four Airtens, two Venu 215s and eight Cyclone 55s, all in a high gloss black finish, were installed in the bar-club and restaurant. 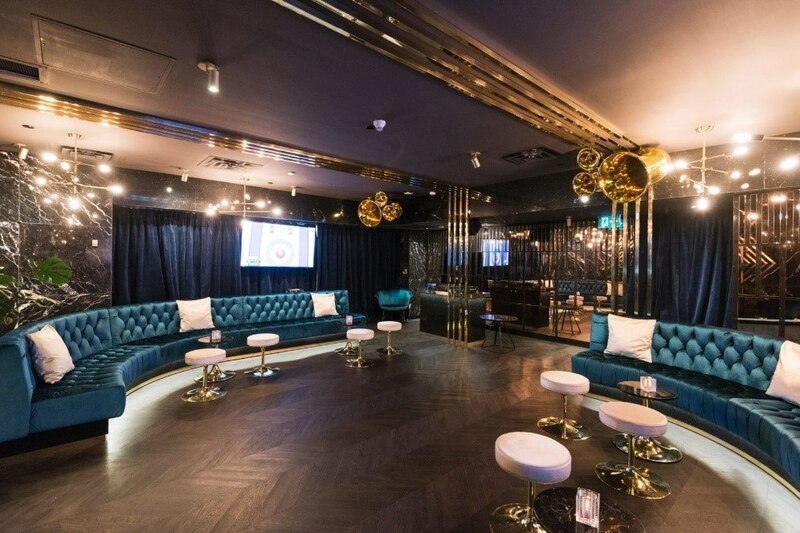 For the VIP area of the club, a further two Air Motions and two Airtens in a customised chrome gold, together with Venu 215 and Venu X low frequency enclosures (discreetly hidden away in the interior beneath the sofas) were fitted. Managing Director of Void Benelux, Wesley Pierik, explained that a number of challenges had to be overcome, including the restaurant ceiling being covered by a wooden skeleton structure. “Fitting the Air Motion speakers in-between was a very precise job where every detail was thoroughly planned for, right down to the type of brackets used. The end result turned out to be stunning and the clients are very happy”. In working for such a high-profile client, who is himself a successful musician, using only the best engineers in the industry, the speaker installation had to be of the highest standard. It was testament to Void Benelux’s skill to be told by both Drake’s righthand man, Nessel ‘Chubbs’ Beezer, and his chief sound engineer, Noel Cadastre, that they were “blown away by the quality and impact of their new Void system” – the best outcome Wesley’s team could wish for. 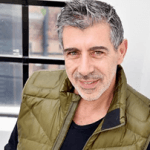 For the first time in BBC Radio 2’s history, Zoe Ball, Gary Davies and Ana Matronic (most well known as the co-lead singer in Scissor Sisters) will be presenting several radio shows from Ibiza throughout the summer. In addition to impressive live performances, interviews with numerous acts, and the best of 80s dance music will also feature on these special broadcasts. Saturday 30th June will see Zoe Ball entertaining the masses, with her live broadcast from Pikes Hotel. This iconic venue is fully kitted out with Void sound systems, including Airtens, Venu 215s, Air 8s, and Cyclone 55s, so we know the sound quality will be at its finest. Playing Ibiza classics from the last three decades, special guests joining Zoe include: Maxi Jazz (Faithless), Groove Armada, Morcheeba, DJ Pete Tong, Christian and Alan Anadon (Café Mambo), and even Mr Tony Pike himself – the much-loved, legendary owner of Pikes. For those who remember Zoe’s first stint in Ibiza 20 years ago while broadcasting for Radio 1, you’ll agree that this is a summer treat worth tuning in for. 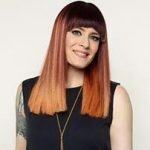 From midnight until 02:00 on Sunday 1 July, Pikes will host Ana Matronic’s live DJ set from Freddie’s Bar, where her special edition of the Dance Devotion show will cover everything from pop to house music. In its 18th year, PALMTM Expo has again received an impressive turnout, with around 21,000 visitors keen to see the latest trends and offerings from pro audio, lighting, and audio-visual manufacturers showcasing cutting-edge technology in stage, music, production and entertainment venues. This was the first year where the AV industry was given a more prominent focus at the show. We extend a warm welcome to our new distributors who have recently joined the team to ensure that our global Void brand reach continues to grow. In France, we are delighted to have MID – Musique Industrie Développement on board to take our European presence from strength to strength. 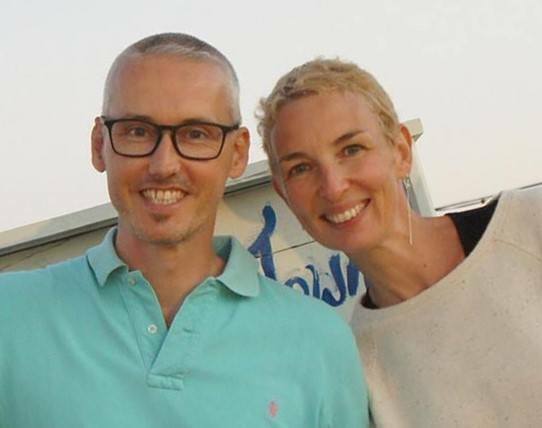 Managing Director, Nicolas Granval (pictured right), shared that “Void has always been a reference brand for us and we consider it an honour to represent it in France. 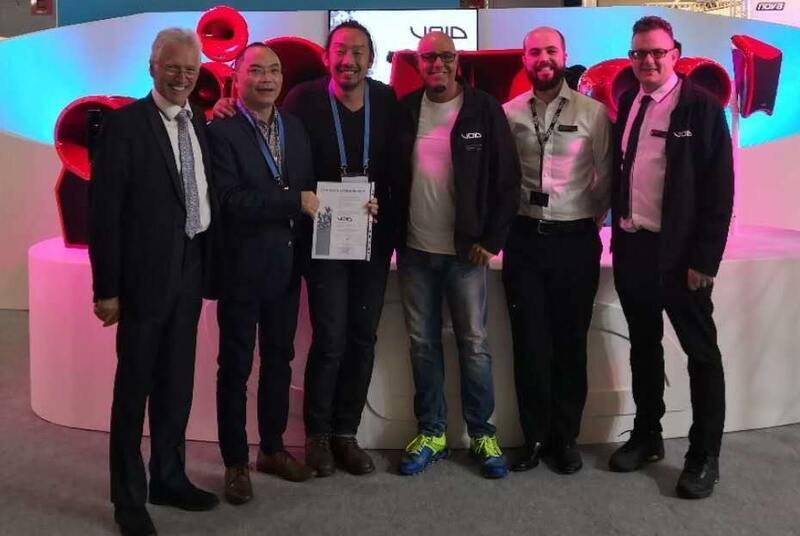 Left to right: David Bissett-Powell (Advisor, Void), Patrick Lau (Sales Director, Budee), JT Liu (Budee), Rog Mogale (Creative Director, Void), Callum Bowran (APAC Sales Manager, Void) and Alex Skan (Managing Director, Void).